For a few years now I’ve been very nervous about running. Back in 2013 I went over on my ankle sprinting around a gym at circuit training and sustained an avulsion fracture. Ever since, although I’ve occasionally ventured out for a cautious jog, I’ve been scared of hurting it again. I know I’m an underpronator (which means my foot strikes the ground on the outside of my foot) and this puts me at additional risk of ankle strain. Even now, having done all the physio and pretty much recovered, I occasionally feel a bit of ankle stiffness. 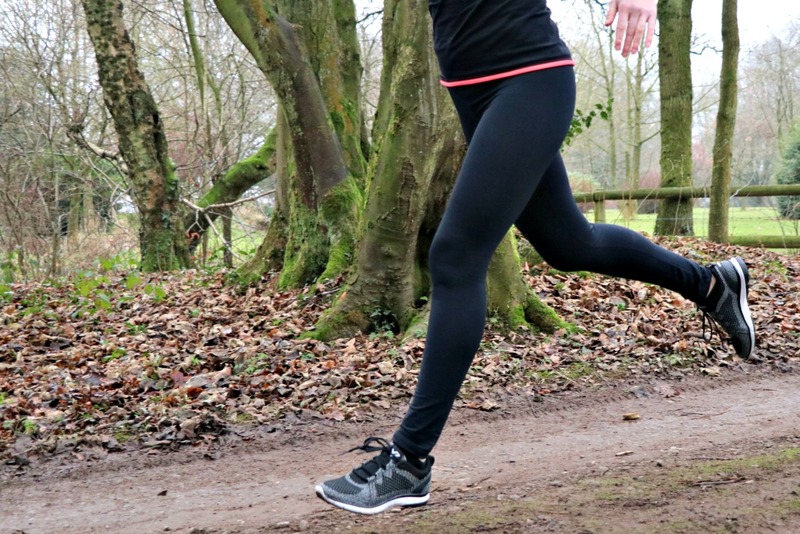 So when Vionic, an orthotics specialist, asked me to test out their new orthopaedic trainer, the Vionic Flex Sierra, I couldn’t wait to give it a go. The Vionic Flex Sierra is designed to align your feet to the correct position (which in turn should reduce aches and improve posture). They call the technology “foot motion technology”. I can’t claim to understand what that is or how it works, but I was mostly interested to know how they felt. First impressions were favourable. This is a good-looking shoe. I was sent a black charcoal pair, but they also come in a zingy, citrusy yellow and a vivid pink. When I put them on they felt extremely comfortable, with a pleasing amount of give in the sole. Other than my arches feeling nicely supported I wasn’t aware of any orthotics going on, which came as something of a relief – I didn’t want to feel as though my feet were being manipulated. 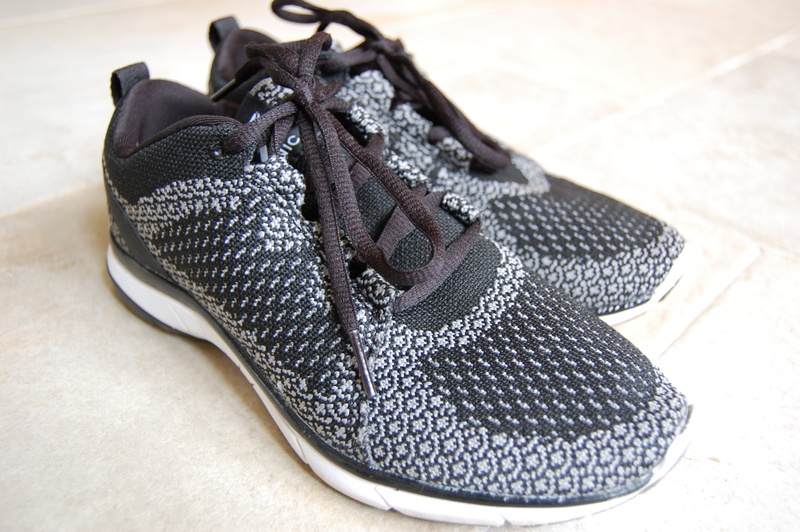 The shoes were super-breathable – the woven fabric really does let the air circulate (great for a sweaty workout, but you will feel the wind chill on a freezing day). I first put them to the test in a circuits session – my first, as it happens, since my accident. I felt really good running around the perimeter of the gym in the warm-up and my feet felt well supported and strong. I found my fears floating away as the session progressed. 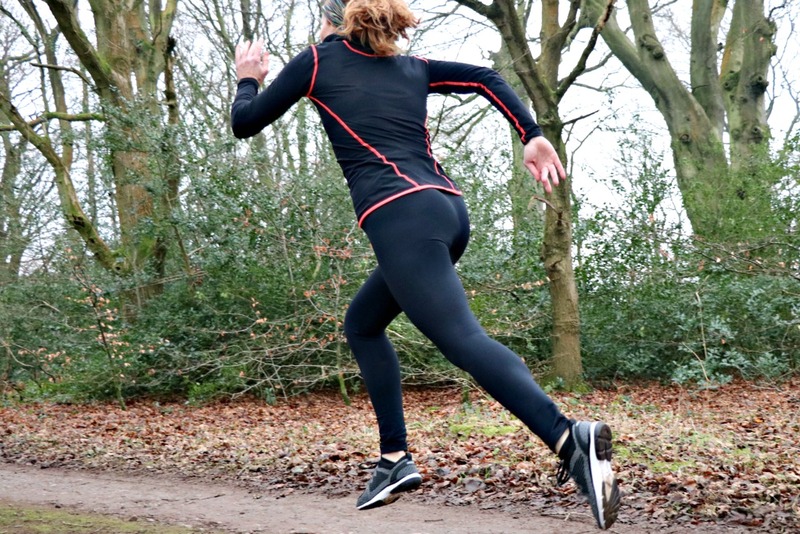 Since then I’ve been back to circuits – again, with no problems – and even done a bit of *gasp* running. It’s hard to judge how the underpronating is going without having an analysis done, but I can say that I’ve had no ankle twinges and have felt entirely comfortable. The only potential downside you should be aware of is that there’s a lot of give in the upper fabric. My feet are quite wide and there’s even more room there than I really need. For me that’s absolutely fine – as I say, my feet are broad – but if you had narrow feet you might find them a bit loose. So thank you, Vionic, for getting me running again. There’s no stopping me now. 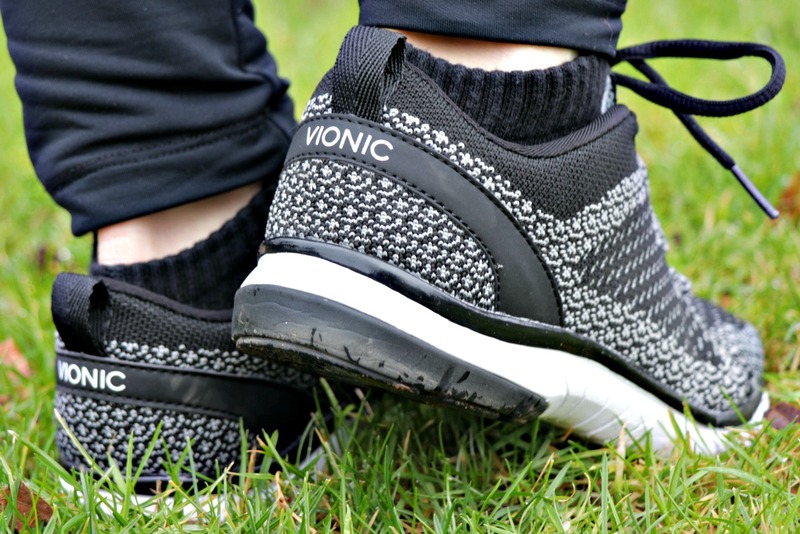 The Vionic Flex Sierra retails at £85, sizes 5-8 (including some half sizes), from Vionic. Note: These trainers were sent to me without charge for review purposes. My opinion remains unbiased and honest. I did not receive any payment for this review. This was an interesting read, how amazing what technology can do these days!